The eldest child of two girls, Elizabeth Catez was born and baptized on a military base in France to her parents- a self-made decorated military officer Jospeh Catez and his wife Marie Rolland. Following the unexpected death of Jospeh Catez in 1887, Marie Rolland moved her family to the less expensive Dijon, France where Elizabeth studied at the local Conservatory and excelled in music. During her childhood, she displayed a fiery temper and strong-willed temperament which caused her mother even threaten sending her to a house of correction for reform. Despite her strong-willed, fiery disposition Elizabeth was a generous and warmhearted child contrite and loving. When Elizabeth received her First Holy Communion and Confirmation in 1891, she began developing better self-control. During her adolescence, she developed an ardent devotion to the Blessed Trinity. She visited the sick, sang in her Church choir, and taught religion to children who were factory workers. During one her visits to Carmel in Dijon, the mother superior provided Elizabeth a copy of the “Circular Letter of St. Therese of Lisieux” which was the first edition of what would become The Story of A Soul. This exposure to St. Therese’s writings brought clarity and courage to pursue her vocation. Elizabeth desired to enter the Discalced Caramelite Order and refused multiple offers of marriage. She respected her mother’s wishes and delayed entering Carmel until she was twenty-one years old. She entered Carmel at Dijon on August 2, 1901 and donned her habit December 8, 1901. The Church and Carmelite communities in France were racked with social upheaval and uncertainty racked with the effects of corruption, scandal, and division. The secular State prepared to take legal action against the Church including the potential confiscation of Church property and the exile of the Carmelite Order from France. While the French Church crumbled into anxiety and confusion, St. Elizabeth witnessed the mystical power of the peace Christ’s presence in a soul could instill. As she explained to her community and friends, “Everything is a sacrament that gives us God.” She believed God was present in the distress. 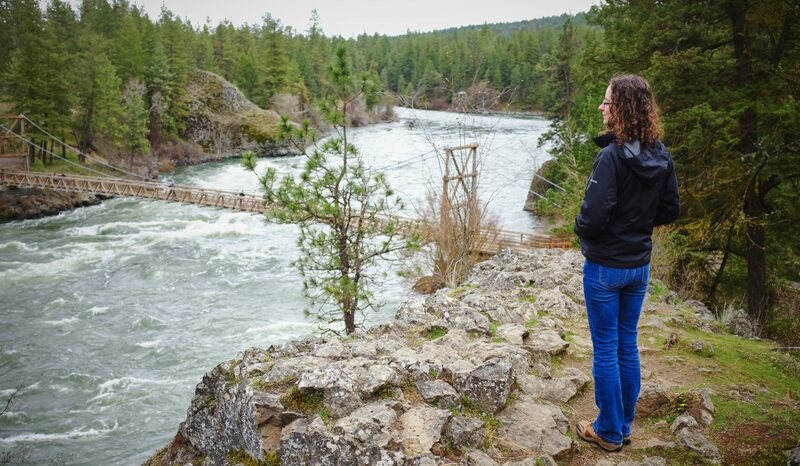 She wrote letters and retreats for her community and friends which emphasized contemplative prayer- loving awareness and silent surrender to the loving gaze of the Father. Her beatification process started in 1931 and her manuscripts were carefully investigated over the next ten years and approved for her cause for beatification in 1944. October 25, 1961 Pope Saint John XXIII declared her Servant of God. On October 12, 1982 Pope Saint John Paul II declared her Venerable and Beatified her in Paris on November 25, 1984 after the investigation of her first miracle was verified. After a second miracle attributed to the intercession of St. Elizabeth of the Trinity was verified and approved, Pope Francis canonized her on October 16, 2016. St. Elizabeth of the Holy Trinity, pray for us! Here is a LINK to her Holy Trinity Prayer. 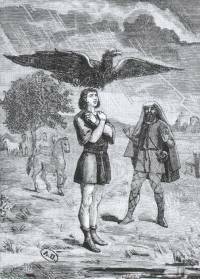 I love sharing about lesser know Saints including my buddy, St, Medard, Bishop and patron saint of inclement weather and storms. This Saints has worked weather miracles on road-trips and other travel adventures which left my friend and loved ones scratching our heads in wonder. Around 456 AD, St. Medard was born to a French nobleman named Nectardus and a Gallo- Roman woman Protagia in Salency, France. Protagia instilled in her son a deep compassion for the poor and suffering which at a young age Medard would offer his shoes, cloak, or other possessions to those he met along the way. Medard practiced fasting and penance such as with-staining from a meal or offering up his meal to others while looking after his father’s cattle. St. Medard studied Scripture under the regional bishop’s tutelage. The bishop noticed his pupil displayed keen aptitude for learning, piety, prayer, obedience, and humility. In 490 AD, St. Medard was ordained a priest and consecrated a bishop of Vermand in 530 AD where he moved the episcopal see to Noyons due to the possibility of invasion by the Huns or Vandals. He also assumed the Tournai diocese after their Bishop, St. Eleutherius died. At the age of 89 in the year 454 AD, St. Medard died of an illness. The kingdom mourned his death. St. Medard’s Day is celebrated on his feast day June 8th. A Benedictine Abby stands above his grave. This patronage of inclement weather and bad storms comes from a legend. When he was a child, an eagle hovered over him and protected him from the rainy deluge. The faithful have invoked his intercession for centuries in regards to a variety of natural calamities. Whether you need a little help with literal or figurative stormy weather in your life, ask for the intercession of St. Medard. St. Medard, pray for us! Watching EWTN’s daily Mass with my Mom, we learned about an unique Saint with a profound story and witness. My monthly NFP update involves drug reactions; therefore, I decided to chose a saint of the month that lived heroic virtue in the face of unthinkable odds. St. Mark Ji Tianxiang died a martyr and an active opium addict. How does an active drug addict barred from the sacraments become a canonized saint? Heroic virtue. A once respectable Chinese Christian with resources and educational advantages during 19th century China, Ji’s successful medical career including caring for the poor pro bono. He was a leader in the Chinese Christian community- respected and admired. He developed a volatile, painful stomach ailment which he self-treated with the treatment of the period- opium. This approved medical treatment turned into a full-fledged addiction. His life circumstances deteriorated under the weight of his addiction. Ji fought against his addiction. He attended confession regularly. The cultural mindset and misunderstanding of the 19th century that drug addiction was not a disease but rather a lack of will caused his confessor to doubt his intention to sin no more and his resolve to repent (without the resolve to sin no more & repent the confession is invalid.) Since he kept confessing the same sin, the priest doubted his resolve to do better. After a few years, Ji’s confessor instructed him not to return until he could fulfill the requirements for confession. Drug abuse is sinful behavior, but drug abuse also is a complex disease of the mind and body. A concept unknown in the 19th century. Ji didn’t abandon his faith. He couldn’t remain sober, but he could still be present with Our Lord. For 30 years (yes, you read that right) . . . 30 years Ji went to Mass unable to receive the sacraments due to his opium addiction. For 30 years, he prayed for a martyr’s death for he believed in that way only could he be saved. The Boxer Rebellion of 1900 broke out. Chinese nationalists known as the Boxers, or the Militia United in Righteousness, expelled missionaries and persecuted Christians across China. Thirty-two thousand Chinese Christians and 200 foreign missionaries were killed. Ji and many of his village’s Christians, including his son, 6 grandkids, and 2 daughter-in-laws, were rounded up by authorities based on their Christian belief. Even while waiting in prison for their execution, Ji couldn’t break his addiction. Still, he was granted a heroic sense of perseverance. Once taken to their place of execution, he begged his captures to execute him last so none of his family members would die alone. He stood beside all nine members of his family as they were beheaded. He went to his death singing the Litany of the Blessed Virgin Mary. He was canonized on October 1, 2000 by St. John Paul II. St. Mark Ji Tianxiang is a beautiful witness to the profound mystery of God’s mercy and how our sufferings can be turned into something profoundly good. His testimony to unwavering perseverance in his faith should kindle a fire in all our hearts. His witness brings hope to those suffering from addictions. May we all rely and believe in Christ’s mercy like St. Mark Ji. St. Mark Ji Tianxiang, pray for us.